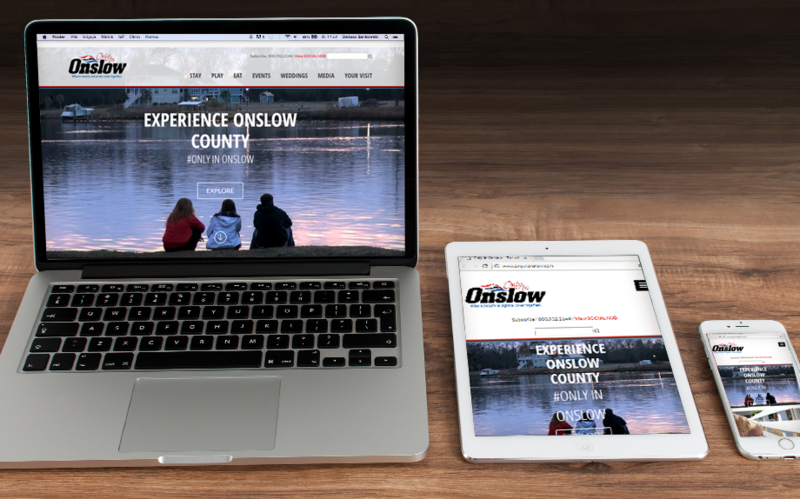 Onslow County Tourism’s website redesign was a “coming home” for 17blue®’s team. 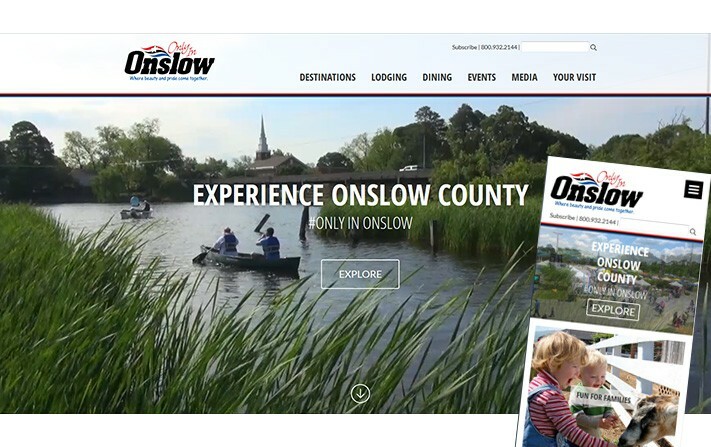 The second major website development project completed for the Tourism Office, this redesign of “Only in Onslow” allowed for modernized design, mobile-friendly responsive functions, and a clear focus on user experience. The site features a full-screen video when loading and offers visitors engagement and search options tailored to their interests and plans. Read more about Tourism’s User Experience.